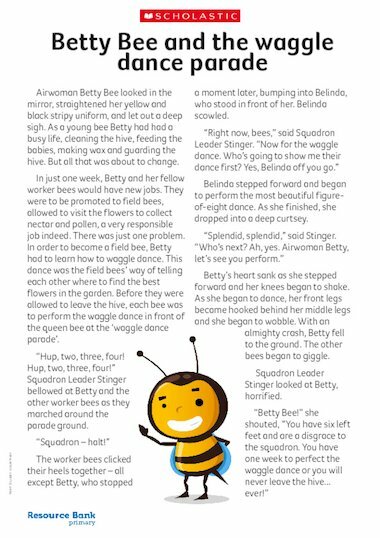 Read this story with your class before asking them to recreate a bee’s waggle dance. I stumbled upon your website by chance as I was looking for ways to help my 6 year old with her reading. The Betty Bee story is a great way to introduce kids to a whole range of cross-currucula topics. My daughter loved the story and I’ll be suggesting your magazine to her school. Bravo! This topic looks very exciting and I am looking forward to trying out the ideas with my KS1 class!